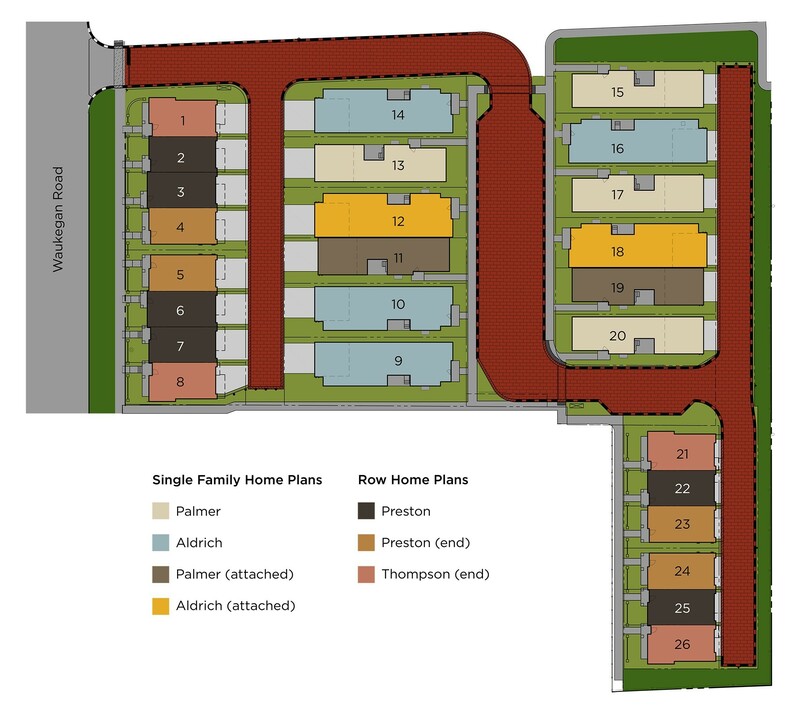 Park Place Glenview offers 12 single-family homes and 14 row homes in a prime North Shore location. Homeowners will enjoy spacious floorplans with light filled rooms and modern features. Residences include energy-saving features, high ceilings, hardwood floors in living areas, granite countertops, maple cabinetry, stainless steel appliances, ceramic tile floors in bathrooms, and attached two-car garages. Park Place Glenview is ideally located with easy access to shopping, schools, transportation and recreation.